Since the 1990s, Irish dancing and Irish dance lessons have become wildly popular in several regions of the world. Not only is Irish music beautiful and energizing, the dance styles exemplify discipline, talent and years of practice. 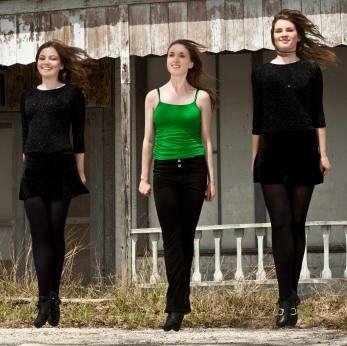 Stemming from traditional Irish folk dance, modern Irish dancing can be done either in soft shoe or in hard shoe. The hard shoe version of Irish dancing is somewhat like tap dancing or clogging, but the shoes are slightly different, and the steps are unique. In addition, one of the signatures of Irish hard shoe dancing is that the arms are often held stiffly at the sides during dancing, whereas in tap dancing and clogging the arms are usually bent at the elbow, with hands on hips. There are also more arm movements for accentuation in tap dancing than in Irish dancing, but once you start taking Irish dance lessons you will see that holding your arms still is much more difficult than moving them around! Irish soft shoe dancing is sometimes likened to ballet, but it is actually very different from ballet. The feet are generally not turned out, the knees are often bent, and many motions put the heels of the feet on the ground while the toes stay in the air, which is never done in ballet. In addition, many Irish soft shoe jumps move to the front instead of to the side, as is the case with many ballet jumps. Soft shoe dancing is done in a slipper similar to children's ballet slippers; ballet pointe shoes are sometimes seen in Irish dance performances, but are not a part of the traditional Irish dance culture. If you would like to learn either hard shoe or soft shoe Irish dancing, or both, there are several effective ways to learn. Of course, the best way is to sign up for a class at a local studio; however, not all regions have local Irish dance lessons, and attending classes is the most expensive way of learning any type of dancing. For those without access to local classes, several online resources, as well as DVDs, can get you started in the field of Irish dancing. Ireland's Eye is a website with several Irish dance steps described in words, with drawings to illustrate the written instructions. At Learn to Dance, an entire section of Irish dance steps exists. Learn the basic reel and several jumps and steps with step-by-step written instructions. Jean Butler's Master Class is a great DVD resource from a talented Irish dancer. Butler was Michael Flatley's partner during the 1990s Riverdance sensation, and her 2005 DVD has gotten excellent reviews from beginning to experienced Irish dancers. Colin Dunne: Celtic Feet is another DVD resource from a Riverdance master. As Michael Flatley's replacement in the show, Dunne is an accomplished Irish dancer with a teaching style appreciated by dancers around the world. Irish Set Dancing Volumes 1-3: For traditional Irish dancing, the kind done at a community dance, these three DVDs are excellent resources. If Irish dance classes are available in your region and you can easily afford to pay for them, this is the quickest and most effective way to learn. Irish dance is not simple, so learning through videos and online descriptions takes a lot of time, effort, and patience. However, if lessons are not available or are too expensive, dig your heels into the many online resources and you'll be performing basic jigs and reels from Celtic dance in no time at all. Stick with your practice for an extended period of time in order to truly master the art of traditional Irish dancing. For a little inspiration, watch Riverdance dance clips like this hard shoe routine to keep you motivated.